Gingersnaps In The Morning: It's Mah Blogoversary!!! One year ago today, this blog morphed from The Spank and Ginger Show into Gingersnaps in the Morning. First and foremost, I'd like to thank Laura (the artist formerly known as Spank) for helping me get this idea for a blog off the ground, and then for supporting me to continue on solo when she could no longer commit to the blog. She rocks, I love her, and this blog would just be an idea without her. Secondly, I'd like to thank all my faithful readers. Even you lurkers, but especially you faithful commenters. Your comments make me laugh, snort, move me to tears and most certainly make my day! I'd also like to thank Verbenabeth for bringing the cyber snacks to our little party. Thank you for spiking the punch! But a celebration isn't a celebration without giveaways. That's right, my friends... I chose 5 books to give away to you awesome peeps. This time I tried to pick awesome books I love that aren't as well known as they should be. With that criteria I narrowed it down to 15 books, and then pulled my hair out while I whittled the list down to 5. "Not all dreams are sweet. Best of luck to everyone who enters!!! YAY!!! Let the party begin!!! ::makes heart shape with mah hands back at you:: MUAH! Lots of good books to pick from (I've read 3 of the 5! ), but I would love to check out Soulless. Sounds like something I would enjoy! Happy Blogoversary! You have consistently made me smile for a full year now...thank you! 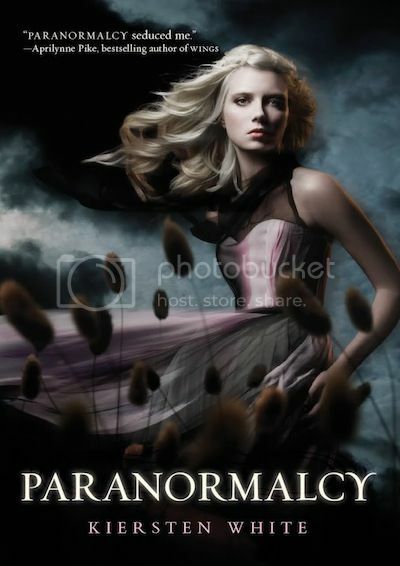 I'd like Paranormalcy by Kiersten White, please put me in for that one!! Ginger!!! I lerve this blog!! I will be forever grateful for your book review of "Once a Witch" by C. McCullough...I bought it and loved it!! Anyhoo, we need some purple champagne to make this day complete. I'll slip some into my coffee mug since I'm at work...sigh. Ok, I would REALLY love book #3, "Anna and the French Kiss", as it sounds like it would hold my interest well. Well, good morning and happy Blogaversary, Ginger! Glad to bring the snacks. ;) And I did spike the punch! These all look like great books, but if I have to pick just one it would have to be Wake. Looks creepy, interesting, and very cool! So here's to many more years of Gingersnaps in the Morning (raising glass of purple frothy punch). Congrats on a great blog! Happy blogoversary! It's so much fun to reach milestones like that! I would love to read "soulless" - sounds seriously interesting, without being one that might give me funky dreams! Merry Blogoversary!!!! Can't bring spike purple punch because I am on meds. 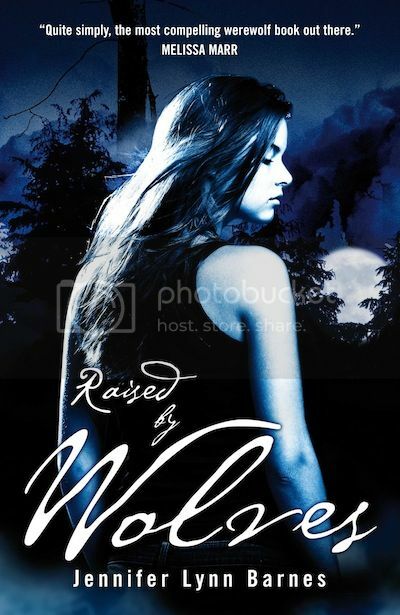 Raised by Wolves would be my book of choice. Enjoy ur day!!! Happy blog-o-versary! Thanks for brightening up our mornings! I'd like to win Anna and the French Kiss. Fingers crossed! And hooray for giveaways! I would love to read Anna and the French Kiss! Happy blogoversary!!!! I would LOVE Paranormalcy by Kiersten White!! Eeep! How do I choose just one? Although I really want the first one, I'm going to pick Paranomalcy. (EEK!) Congratulations on your one year! I really, really, really want to read Anna and the French Kiss. John Green (!) recommended it, so you know it's good. I'd love to win Paranormalcy! I have yet to read it! Count me in for Paranormalcy. PLEASE LOL YOUR BANNER HAS OT ME CRACKING UO GOSH I LOVE THAT FACIAL EXPRESSION!!! Happy Blogoversary! I'd love to win Anna and the French Kiss. Thanks for the giveaway! Happy Blogaversary!!!!!! So glad I found you, you make me laugh so much!! and...I guess its ok that the giveaway is for the U.S only..though now i'm gonna have to write down the books and look for them here..sigh..more books..my family is gonna kill me! Happy Blogoversary!! I don't comment but I love this blog! Ohhh! I do love a giveaway! Especially for such a festive occasion! Congratulations on your first blogiversary! Happy blog-o-versary~! Ive been following you around the blog-world since Twilight-Headed. I love your blog, it makes me laugh everyday! I would LOVE to read/win Paranormalcy. Thanks!! Happy Blogoversary! I would love to win Anna and the French Kiss. Thanks for the giveaway! Happy Blogoversary!!!! Thanks for the giveaway! I would love to win Anna and the French Kiss! Happy Blogoversary!! I would love to win Raised by Wolves! ANNA is seriously one of my FAVORITE books. Amazing. And I also own it already. So...I'm thinking Paranormalcy by Kiersten White for the giveaway! I've been reading her blog too. Hysterical!! PARANORMALCY!!! omg! I've been wanting to have this! Happy blogversary to you! thanks for the nice giveaways! OhMyGoodness. AWESOME. That's all I can say. I am DYING to read Anna and the French Kiss or Paranormalcy!!! HAPPY BLOGOVERSARY BY THE WAY!!! I would want to win Anna and the french kiss. nice giveaways. Coming out of lurking to tell you publicly that I love you, I am proud of you and this blog, and The Spank and Ginger Show was amazing because of your vision. I was a sidekick and I am so awed by what you did with this random idea over a phone call one night. Happy anniversary! Love reading your blog and following your tweets we've tweeted a few times (@Swt_N_Lw) Anyway would love to read Wake sounds like my kind of book! Thanks. *Raises my purple champagne glass* to many more Ginger filled years! Rachel Hernandez. Happy Blogoversary!!! It's hard to choose. I think my pick would be between Raised by Wolves & Anna and the French Kiss. Thanks!! Happy Blogaversary!! 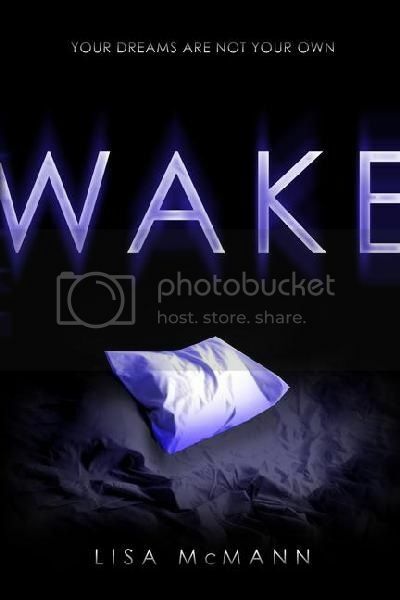 I normally lurk but I would love to read Wake!! Thanks for the laughs and the awesome give-away. I am coming out of regular lurkdom to post!! I've REALLY wanted to start reading Soulless, that would be my pick. Happy Blogaversary! How awesome! Congratulations! Oh, right. My name is Melissa Jepson. I'm also a little slow.